Decades ago there were only a handful of log home companies. Today that number is in the hundreds. When thinking of building a log home, there are many questions to be answered. What wood species do I want to go with? How do I know which company to chose? Do I want milled logs or handcrafted? How do I want my floor plan laid out? What’s included in my log home? Who will build it? With so many different products and companies to choose from, how do you decide what’s really best for you? Each claims to have the best system, high quality, and the best price. Below are some thoughts on how to help you decide as you make your journey to owning your dream home. First impressions – First impression mean a lot. You want to feel comfortable with who you are dealing with. You are intrusting them with your money and dream that you have had for a long time. Is the person or company good at communicating and listening? Are they more interested in helping you or getting a sale? If you can’t trust this person or company, then move on. Competition – A company that runs down their competition is unprofessional and shows he or she cannot compete with honest comparisons. You should do business with a company that has integrity. Referrals – Ask for referrals. Homeowners are usually willing to share the good and the bad of their experience with a company. Too good to be true – The old saying “If it sounds too good to be true, then it probably is” holds true today. Beware of great sounding deals such as 50% off or cut rate pricing. Remember you always get what you pay for. Pushy – When pursuing your dream log home and researching companies, they should be happy to help you any way they can. You don’t want to feel pressured. Building a log home is nothing that you want to “rush” into. Get to know the company and ask many questions. No questions are too big or too small. A company should be happy to help you in anyway. All the knowledge that you gain will be well worth it when deciding on which log home company to choose. 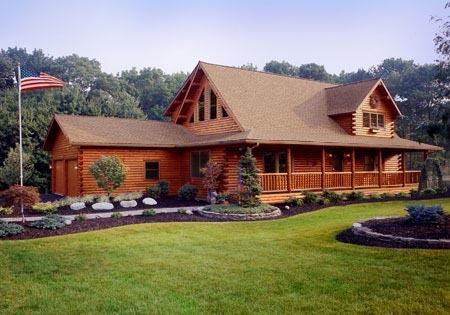 Start today and view the many log home floor plans we have. If you have questions on how to go about researching for your home, call us at 800-341-1566 or drop us an email.